Glick Woodworks, LLC offers superbly crafted sheds, garages and custom buildings. Today customers in Lancaster and outlying parts of Pennsylvania, Delaware, New Jersey, and Maryland depend on well-made outdoor structures as valuable real estate additions. Whether you seek an attractive tool shed, a patio storage facility, a hay barn, a work shop or a garage, we furnish cost-effective, high quality products. Use our custom sheds and garages to enhance your property and grounds. 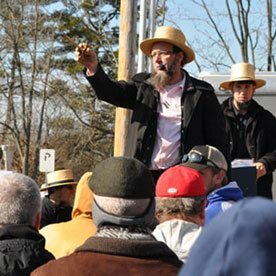 We furnish both Amish sheds and key accessories, such as custom shelving. 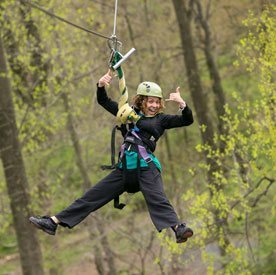 Free delivery is available up to 20 miles from our shop in Lancaster County. 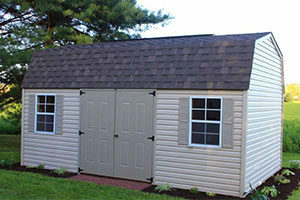 Visit www.glicksheds.com to request a free quote today! Select sturdy, Amish built sheds in a wide variety of colors, textures and architectural styles. 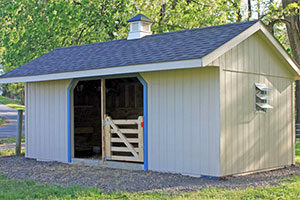 We’ve become the premiere source for sheds in Lancaster, PA. Choose standard A Frame Sheds, or products in a classic A-Frame style, as well as Dutch Barns, High Wall Barns, Mini Barns and barns in a Victorian or Quaker motif. These stylish structures offer the convenience of low maintenance. Use them to obtain extra storage room while also embellishing the visual appeal of your real estate. Financing is available! 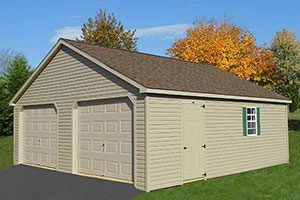 In addition to Amish sheds, we supply useful one or two door garages. Our Amish built garages are ideal for sheltering bicycles and motor vehicles of every type. Keep lawn equipment, boats, tractors, snowmobiles, autos, mopeds and motorcycles conveniently stored when not in use. You’ll reduce the destructive impact of harsh weather on your equipment, while also avoiding the need to clean away snow and ice repeatedly during the winter. We carry garages in several trendy styles, including single-wide, double-wide, elite, and several two-story models (single wide and double wide). We’ll also construct on-site customized garages in York and Lancaster, PA. Ask us to supply special-purpose custom buildings to help you achieve specific design goals. We offer a variety of options, accessories, and colors to turn your ideas into a reality. Create a shed, garage, or other custom building such as a pool house with specific features to help you attain design goals for your real estate and grounds. We have what you need to choose the perfect shed or garage for your property. Contact us to get started!